As we move into a New Year, Oregonians have good reason to feel some optimism about the prospects for a stronger right to quality higher education. Professors, academic professionals, and graduate student employees, with support from students and community groups across the state, took courageous stands last year in defense of the quality, integrity, and fairness of Oregon universities. Nationally, there are also encouraging developments. For over a century, the integrity and quality of higher education in America has rested on two pillars: a professoriate that enjoys academic freedom, and equal status for educators in the governing and managing of universities. Integrity and quality–and their foundation, academic freedom, and shared governance–have to be constantly defended however. In our day, they are threatened from two fronts. How do academic freedom and shared governance create universities of quality and integrity? The design of this ingenious machine is not well or broadly understood–not by fellow citizens, and surprisingly, not by many in the new crop of university administrators. We face, therefore, a constant need–and the duty–to explain and protect academic freedom and shared governance at our universities. Changes in “our industry” pose the second threat to the quality and integrity of our colleges and universities. Public disinvestment in higher education has been massive. University administrations have responded by running universities as “revenue centers”. Revenue-generation, first a means to an end, has become a perverse end in itself, and the core mission of the public university has been swept aside, or paid lip service. University administrations have pursued cost-cutting to the point we are left with a professoriate that is around 75% on insecure, short-term contracts, with no career prospects, and often no benefits. One of my students was dismayed at learning that many of her professors earned less than half her income at a cookie factory, and had no benefits, to boot. It is well-nigh impossible to have academic freedom and quality with a contingent professoriate of this size. The level of public dollar disinvestment has been so extreme, that even the destructive gutting of the professoriate has not been enough to slow down spiraling college costs (sticker plus hidden fees) and student debt. Some important social institutions are not meant to be businesses. Ponder what families and parenting, courts, public schools, the institutions of representative democracy, would become if profit became their overriding end. Colleges and universities are this kind of social institution. The public good is hurt when we turn these institutions into profit concerns. With pride we can say that last year small and big battles for the public good in higher education were won across Oregon. In two dramatic cases, Oregon academics —professors, and academic support professionals— took a strong public stand to defend academic freedom and shared governance. At the University of Oregon, the Faculty Senate acted swiftly and deliberately to prevent the nullification of shared governance rights by their new Board of Trustees. I don’t know if this was unwitting on the part of the new trustees, but the long-term consequences for the UO as an institution of higher learning would have been devastating. UO trustees needed a crash course on shared governance and academic freedom, and the UO faculty accepted its duty, stood up, and defended those principles. The battle at the University of Oregon to protect shared governance and academic freedom may not be over yet and the lesson is that we need to be vigilant to make sure the foundations of the university don’t get lost in the shuffle as the new independent Boards of Trustees start taking charge. At Portland State University, faculty and academic support professionals nearly went on strike last year to defend, among other things, the foundations of academic freedom and the right of shared governance against the PSU administration’s efforts to weaken them. Whether PSU administrators’ missteps were intentional or they were misguided, administrators needed a refresher course on the fundamentals of faculty rights, academic freedom, and shared governance, and as did their colleagues at UO, PSU faculty and academic professionals rose to the challenge. There are other signs of hope in Oregon, and nationally, that this year we might make strides in reversing the wrong direction of our universities. Faculty and academic professionals across most Oregon campuses have been active, using collective bargaining rights to hold the line against the “Walmartization” of academic work, doing so by securing multi-year contracts for professors that university administrations would rather hire on day-laborer terms. Multi-year contracts must be secured for all university professors; we need to come up with a pathway to tenure, and we must do the organizing and public advocacy to make this happen. The American Association of University Professors has a One Faculty Campaign addressing the conditions of full-and part-time university professors on short term and contingent contracts. This is a just campaign, and it is also necessary if higher education of quality and integrity is not to become something for a privileged minority in our country. In an historic breakthrough, The National Labor Relations Board issued a ruling at the dawn of the New year which might pave a way for faculty at private colleges and universities to regain collective bargaining rights taken away from them in 1980. Finally, in recent days, the Obama administration has floated a proposal for two years of guaranteed free community college. The Obama proposal reflects a growing awareness of a national crisis of diminishing access to affordable, quality college education that can no longer be ignored, denied or hidden. And the proposal could open the door to a significant reinvestment in higher education that is badly needed. As we build on the momentum and enthusiasm created by this announcement, it is critical that we don’t fudge on two critical issues. First, a right to free higher education–a good thing for a democracy–must allow our citizens to exercise that right at the public college or university of their choice–any public college or university. Second, the right to free public higher education must be backed by the required public funding. Abridged or unfunded rights are not true rights. A blessing it is to live another year, and to be part of a national movement of educators, students, and citizens striving to establish a higher education fitting for a democracy! 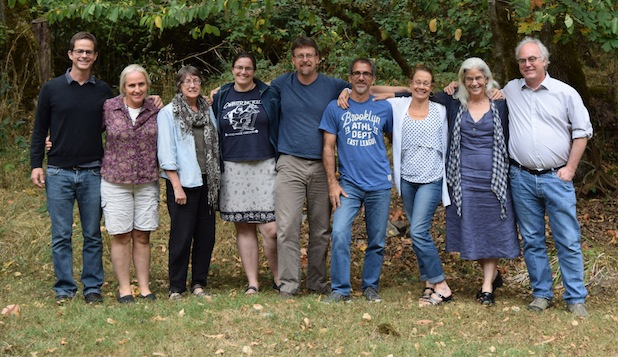 We will be holding elections for AAUP-Oregon Executive Committee members in March 2015. If you would like to nominate yourself or someone else, please get in touch with a member of our committee. Please have nominations to us by January 31st. 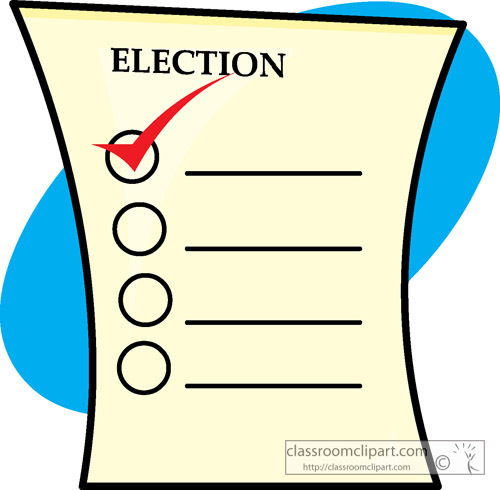 Positions to be elected are: President, Vice President for Academic Freedom and Governance, Vice President for Collective Bargaining, Secretary, Advocacy Chapter Representative, Individual Member Representative, Advocate for Graduate Students, Advocate for Tenure, and Advocate for Academic Professionals. Although the Treasurer position is not up for election, our Treasurer is stepping down, so we will also accept nominations for the office of Treasurer. To look at duties for these positions, please see our constitution and bylaws, here. On December 11, the PSU Board of Trustees met and passed a resolution to have sworn and armed police officers on campus. This did not come as a surprise yet a majority of students and faculty remained opposed over the fall quarter. There is a Campus Public Safety Implementation Advisory Committee forming that will work on the policies and implementation of the Board’s resolution and PSU-AAUP will have a representative on this Committee. The Executive Council is working on nominations during the first week of winter term. 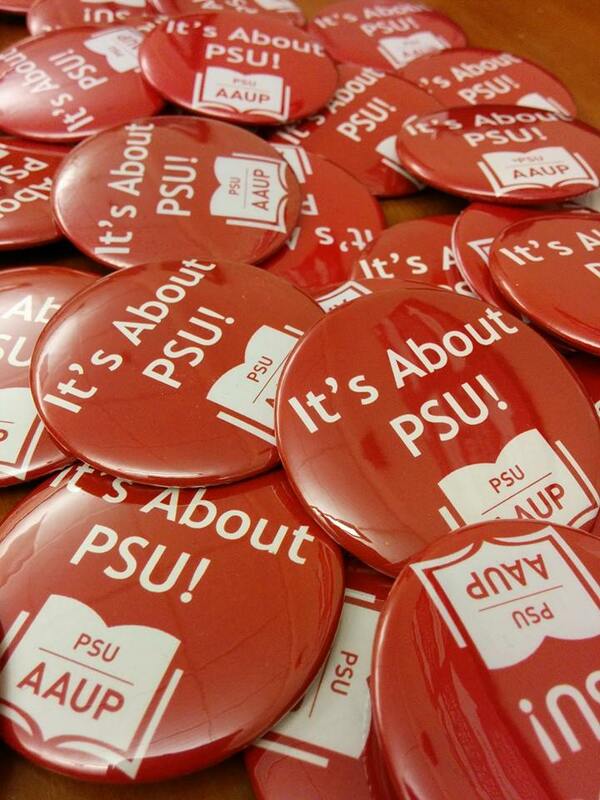 PSU-AAUP has been gathering data on summer term over the past few weeks. We received information from administration, faculty questionnaires, and face to face meetings with members. It appears that there have been significant cuts to summer beginning in 2012 and continuing in 2013 and 2014. We are working on compiling the data and we will have a report very soon. Happy New Year! 2015 brings the legislative session so a busy and important time for all! It is amazing that the UO can lurch from one crisis to another. The strike of the Graduate Teaching Fellow Federation (GTFF) began on the morning of December 2 and lasted much longer than anyone would have predicted. Through cold, nasty weather, the students and their supporters marched, chanted and of course, continued to negotiate for better pay and paid leave. They finally came to an agreement on December 10 of the following week. Their new contract contains modest pay raises (5% each of the next 2 years) and a Graduate Student Assistance Fund to provide paid leave for all graduate students. Members of the GTFF will be on the board administering the leave and can grieve rejection of leave applications. During that same week, faculty discovered that the administration was planning to present to the Board of Trustees at their meeting later in the week, a resolution entitled “Policy on University Policies.” The proposed policy completely ignored the role of the UO Senate in managing policies, calling for General Assembly meetings – in other words it gutted our Constitutional processes addressing shared governance. All during fall term we were seeing flow charts for dealing with these 800 some policies that need to be reviewed and we repeatedly pointed out the lack of a Senate role. It was shocking to see the process go forward ignoring the feedback. An emergency Senate meeting was called for December 10. It addressed both the policy issue and also the issues that arose during the GTFF strike in which the administration proposed solutions to not having graduate teaching fellows available to grade papers and submit grades. All of their solutions were strike-breaking solutions, not surprisingly. Some faculty were removed from their Blackboard sites as instructors and it appears that one administrator submitted grades without administering final exams or grading final papers. More to come on that at a later date. The morning of the Senate meeting the “Policy on University Policies” was withdrawn from the agenda of the Board of Trustees, but nonetheless many faculty, staff, and students packed the Senate room to express dismay at such a blatant attempt to dismantle shared governance. A resolution was going to be presented by Senator Michael Dreiling, also UAUO president, which would condemn the move. It was rewritten at the last minute to affirm shared policy and congratulate the administration on the move to withdraw the BOT policy. At the BOT meeting the next day, faculty, staff and students still packed the BOT meeting room to affirm the importance of shared governance at the UO. It was an inspiring meeting of unity! UAUO was instrumental in getting people out to both meetings and working with the Senate President and executive committee throughout this entire process. Since then, UAUO leadership has been working with Senate leadership to revise the Policy on University Policies. It will be presented at the first Senate meeting of winter term. We are mindful that this was not just an “oops” event, an oversight of that pesky Senate. This process of shifting and defining roles in this new climate of BOT governance require oversight that is uniting faculty, all constituencies in the UO Senate and United Academics. We are demonstrating that governance and collaboration can go hand-in-hand. Saturday April 25, 2015, 9-3pm in Eugene. Share the post "AAUP Oregon News January 2015"